The StrimmerSafe Vault is a unique storage unit, designed to secure strimmers and keep them safe when in the back of a vehicle or in a workshop. The slots on either side are used to slide the head of the strimmers into the box, and they can then be secured by using the space fillers to bridge the gap between the strimmer and the lid. Once the lid is shut and locked, it is impossible to remove the strimmer. The internal divider system can be used to segregate the storage within the unit, keeping it organised inside the vault. The robust construction and heavy-duty locking mechanism makes it a very secure unit and it is serial numbered for fast key replacement. 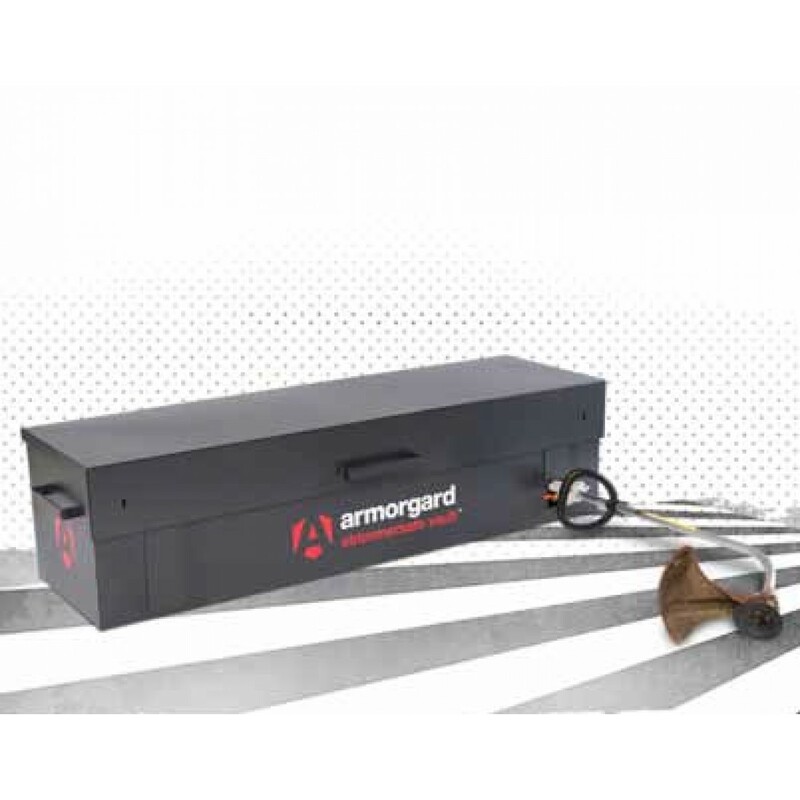 Powerful, internal hydraulic gas struts help to provide effortless, no-strain opening along with the unique Armorgard lid stay, which offers additional anti-force protection.